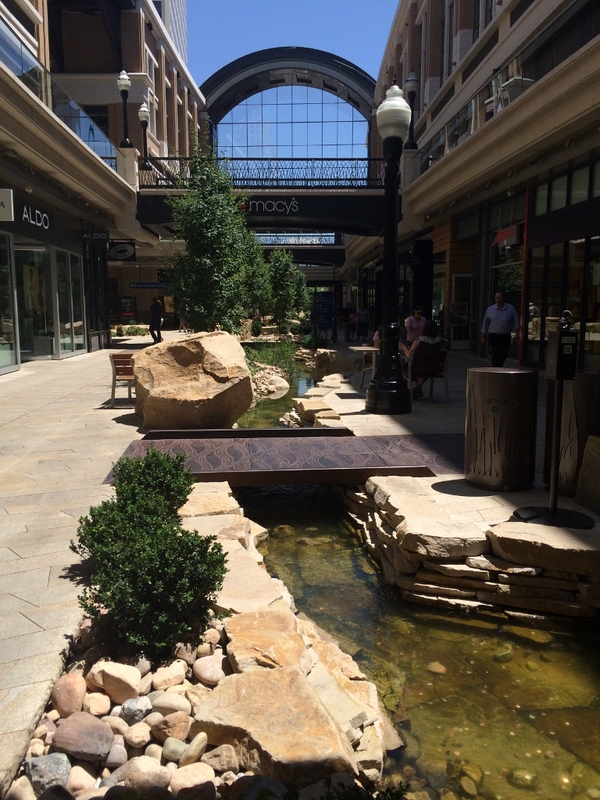 During a recent visit to Salt Lake City, I had some time to check out an upscale outdoor mall in the heart of the city. 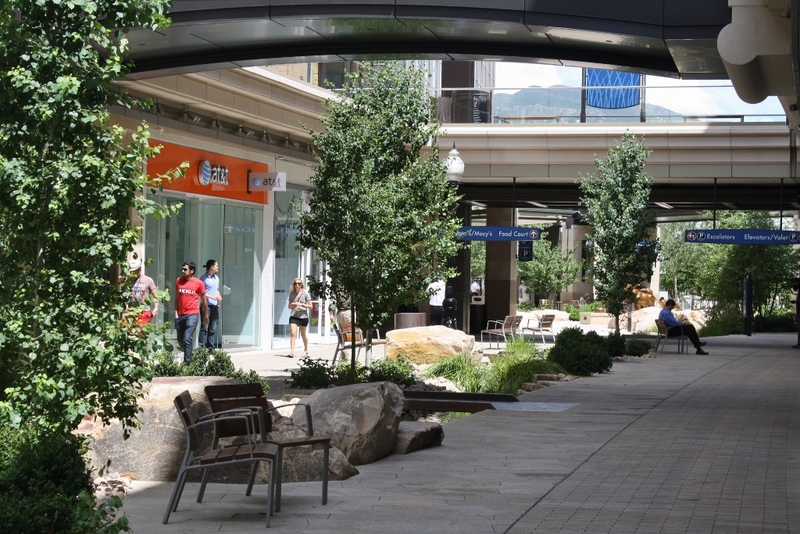 I typically dislike shopping malls, especially the indoor variety, but even many of the newer open-air types are trying too hard to duplicate quaint old urban streets (and failing). 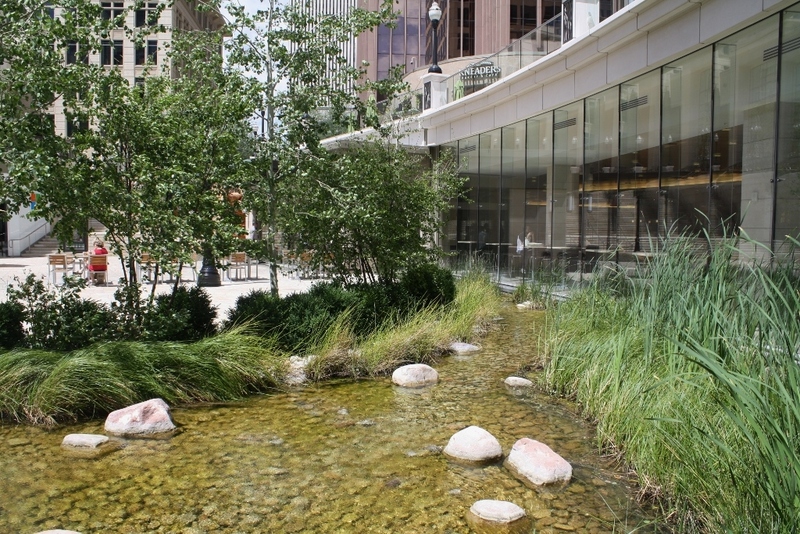 City Creek Center’s site, designed by the landscape architecture firm, SWA Group, has a different focus: celebrating a stream that historically ran through the downtown area, most of which is now buried underground. 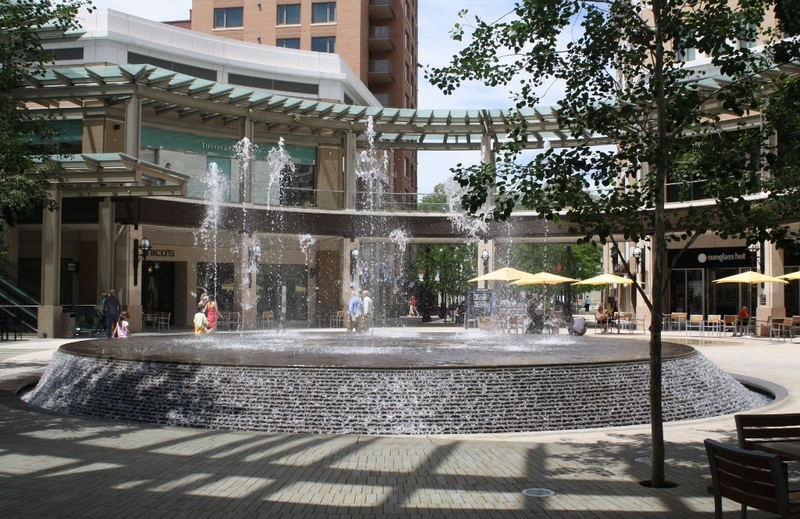 Each of two sections of this mall (divided by a city street) includes a recirculating water feature that represents a creek and flows along the middle of the shopping center’s walkways. 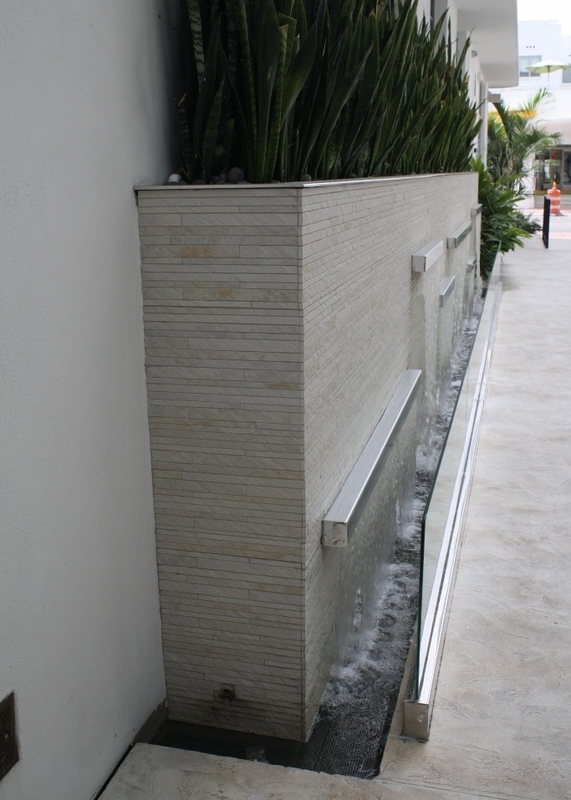 The streams also meander in some places and turn to follow perpendicular entrance corridors, terminating with waterfalls at the connecting streets. 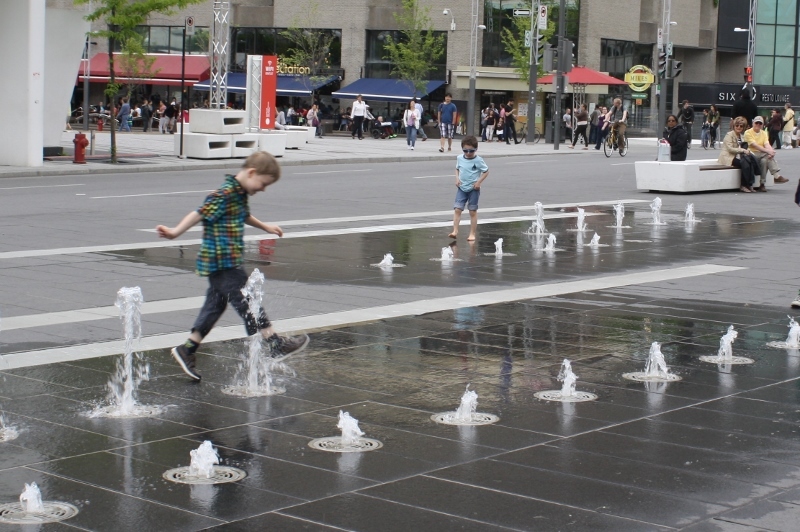 A variety of fountains (including an interactive ground-level set of jets) can also be found along the pedestrian areas, combining with the creek to provide a pleasant water-centric experience. 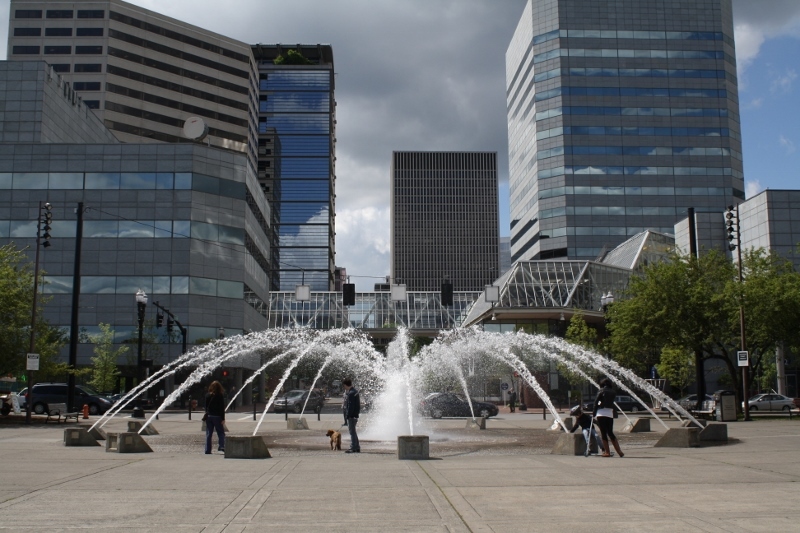 This is one mall that I actually enjoyed visiting – not to shop, but to hang out with an iced coffee and take in the sights and sounds around me. 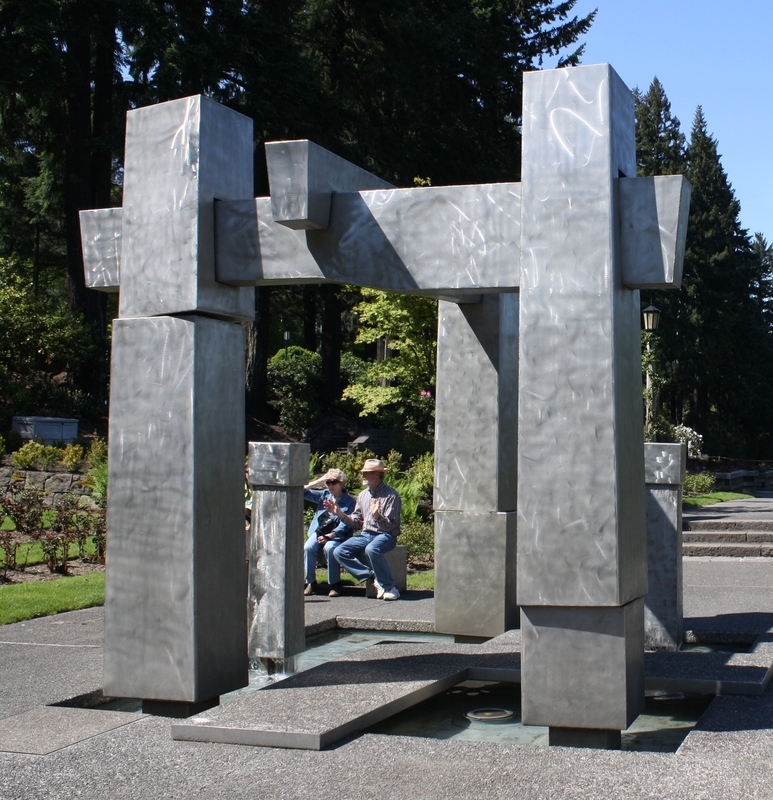 The streams include numerous footbridges, most of which are made of decorative metal, as shown. 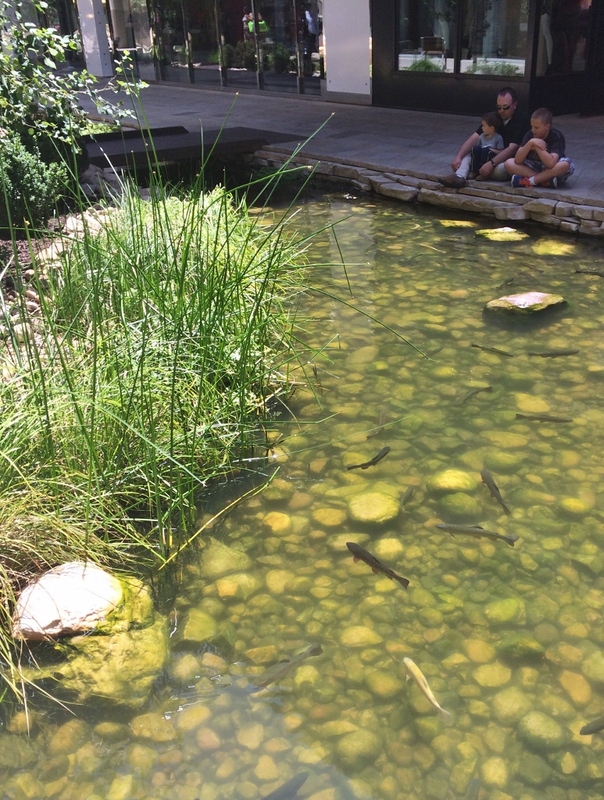 Native trout inhabit several areas of the creeks. 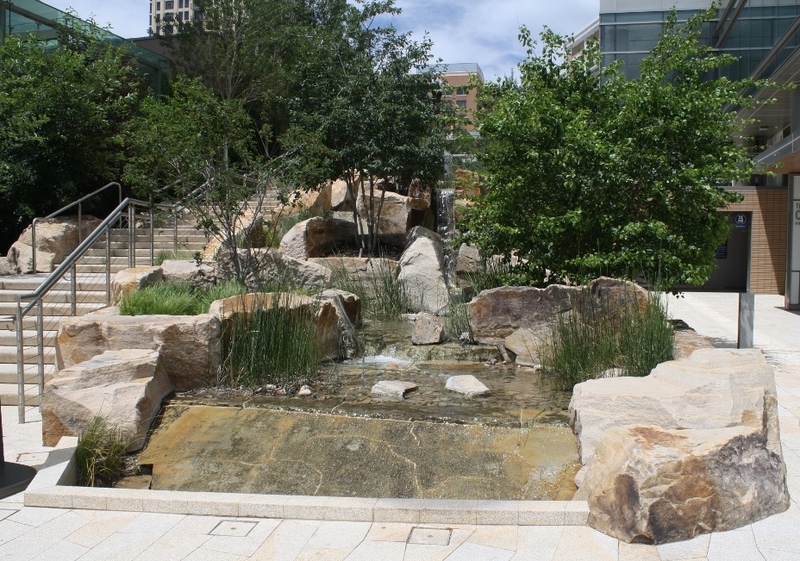 The recirculating creeks flow along the center of the walkways. 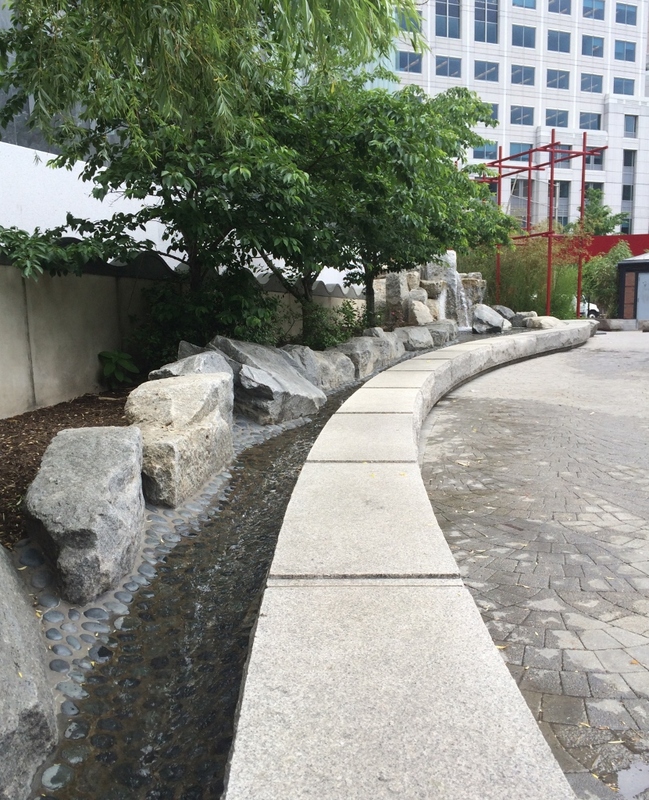 Narrow slot drains on each side of the stream catch runoff from rainfall (one of which is visible in this photo). 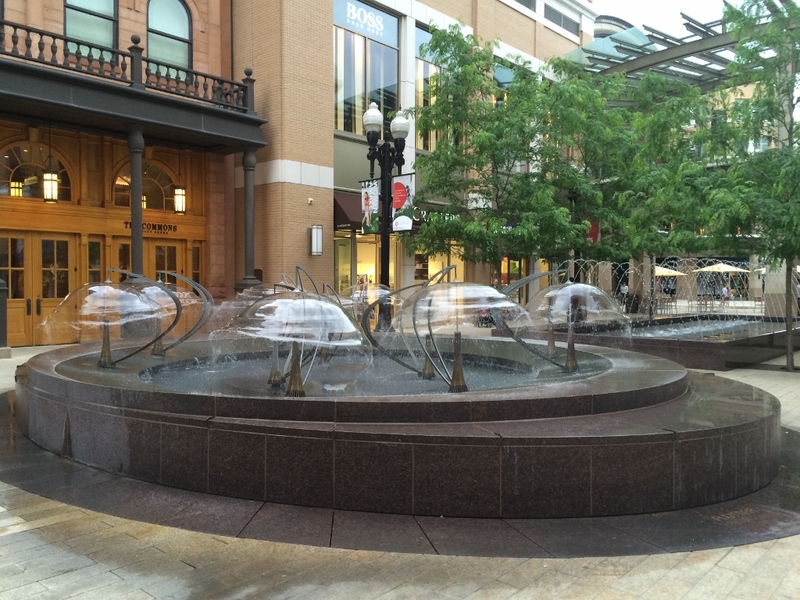 I have wondered how the mall handles snow removal, however. 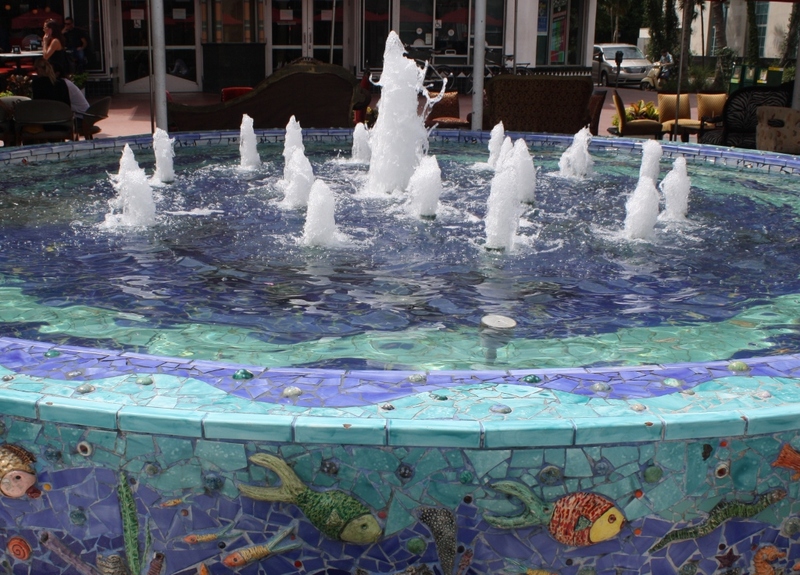 A fountain accents one of the central intersections of the mall. 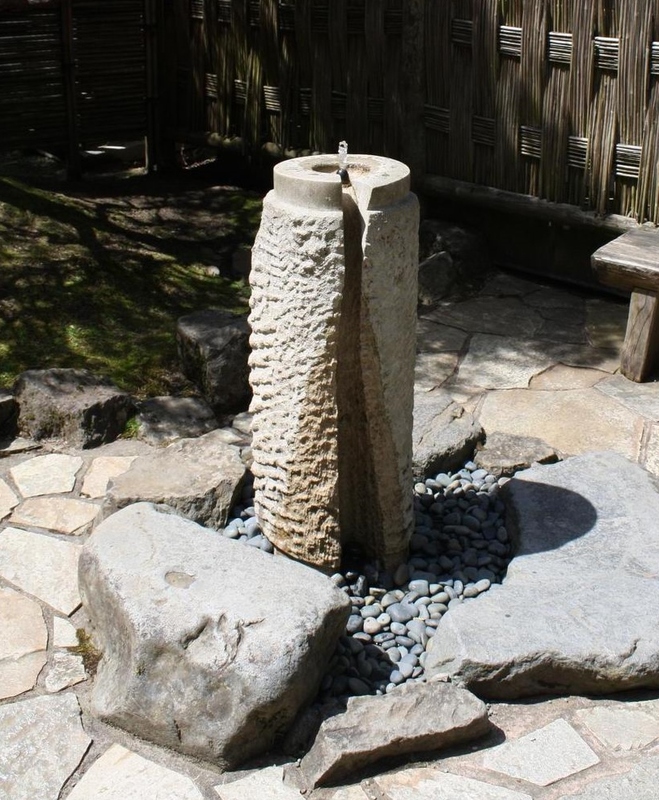 Water on its opposite side falls in a sheet off the rim, contrasting with the stepped edge on this side. 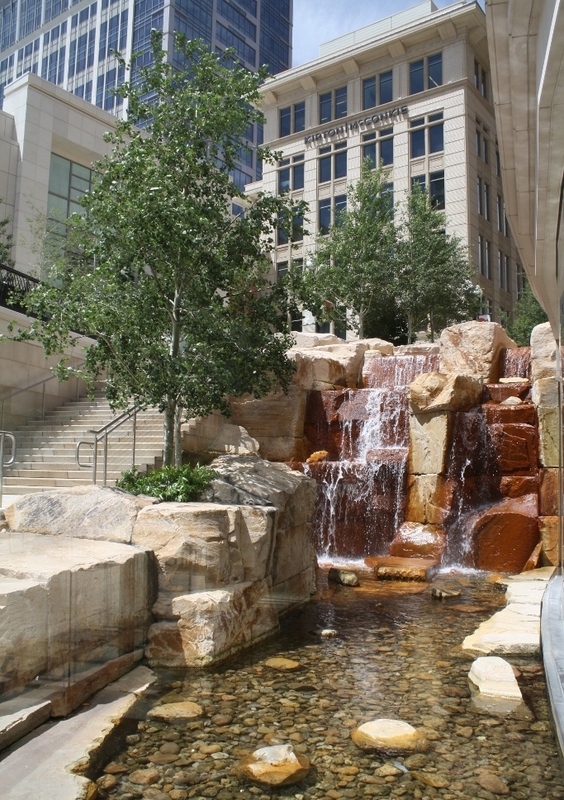 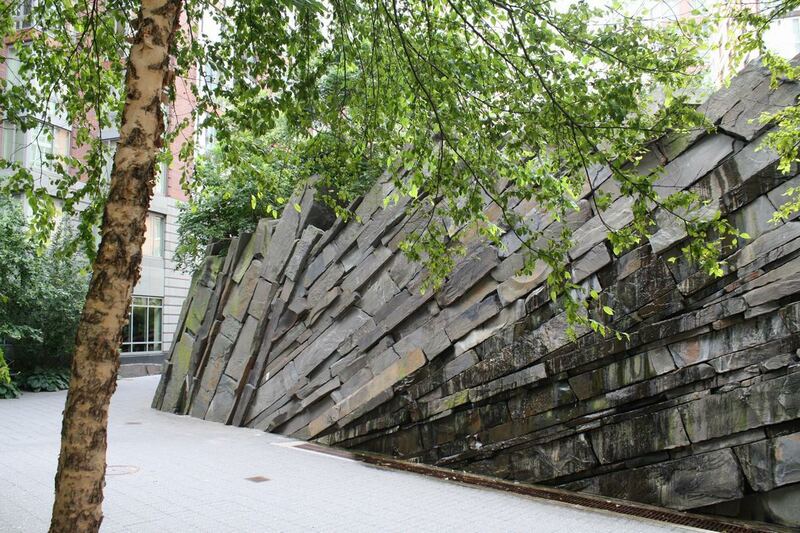 The site design takes advantage of the area’s sloping topography, with a waterfall flowing into the mall from South Temple Street. 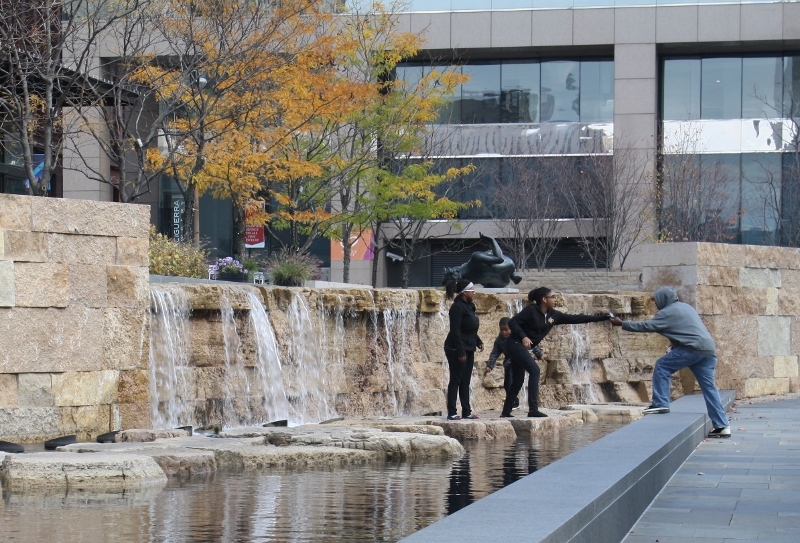 A recirculating waterfall also flows from the mall to the adjoining street south of the site. 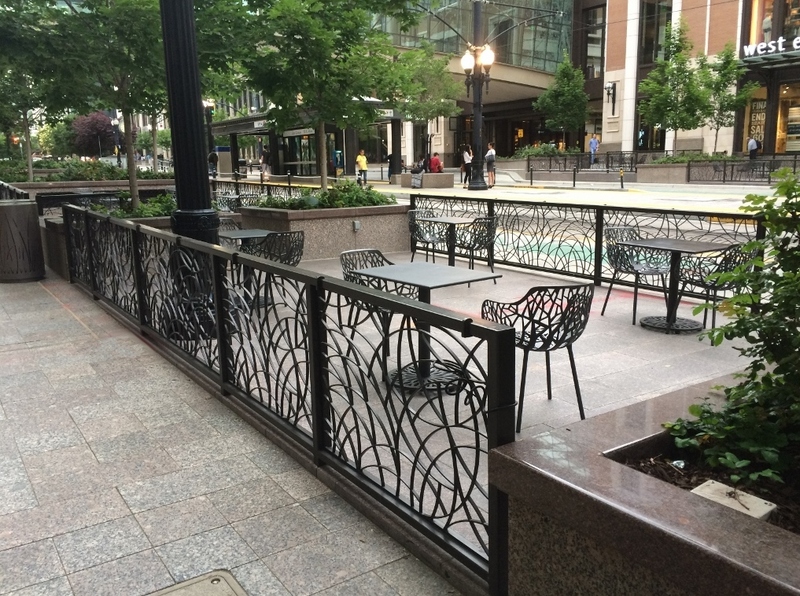 Nature-themed fencing and chairs adorn the sidewalks on either side of the street that splits the mall. 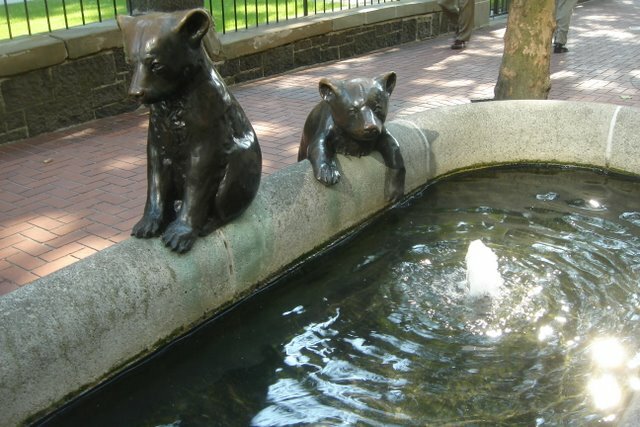 These areas were designed as part of the project.